The California-based group, Direct Action Everywhere (DxE), even disrupted an event outside the Utah State Capitol where Gov. Gary Herbert was getting ready to “pardon” a couple of Norbest turkeys. MORONI—Thanksgiving is usually the high point in the year for Norbest Inc. and its turkey growers. 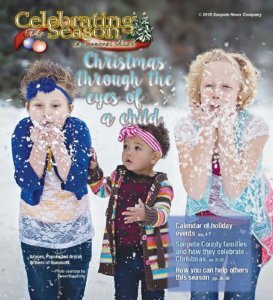 The pre-holiday production rush is over and revenue from the sales is rolling in. 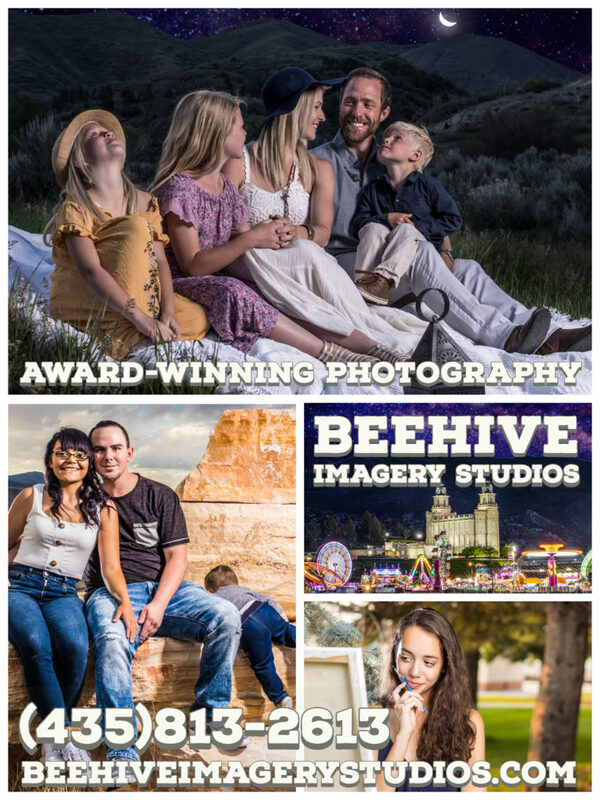 But just before Thanksgiving this year, the company was receiving a bounty of negative press, thanks to members of an animal rights group who sneaked onto a Moroni farm and recorded video evidence of supposed inhumane conditions. 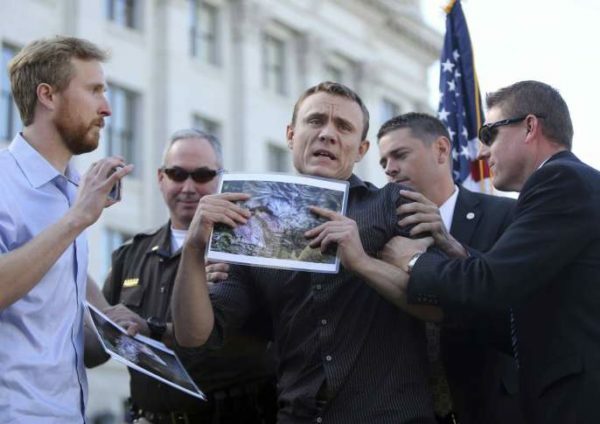 The California-based group, Direct Action Everywhere (DxE) even disrupted an event outside the Utah State Capitol where Gov. Gary Herbert was getting ready to “pardon” a couple of Norbest turkeys. As Matt Cook, CEO of Norbest, addressed politicians and school children about his experiences in the turkey industry, a DxE representative held up one of the pictures taken at the Moroni farm. “We want to talk to you right now,” the man yelled. “We published an expose showing the truth. Norbest wants to tell you a lie. We have children here. As a public good, they need to know the truth.” The governor’s security detail removed the man from the podium. The story of the investigation by DxE and the disrupted state capitol event caught on fast. Articles went out from the Associated Press and were picked up by CBS, National Public Radio, New York Post, Seattle Times, Los Angeles Times and Fort Worth Star-Telegram, to name a few. In Utah, the Salt Lake Tribune and Fox News ran stories. Although DxE made its view of turkey growing practices crystal clear, opinions about the practices depicted in the group’s photos and video vary dramatically depending on who you talk to. DxE activists also chose not to name the grower, saying the fault lay on the shoulders of factory farming practices and Norbest itself. In his letter, Cook claimed Norbest’s animal care investigators had been aware of the poor conditions on the farm. He said the company had notified the grower to return to compliance on Nov. 1, or face losing his contract as a grower for Norbest. Cook said Norbest ended up confiscating all turkeys on the grower’s farm before the DxE video was even released. “We provide training and support to the farmers who join the Norbest family because top-notch animal care is important to us. That’s also why we regularly inspect every farm,” Cook said. A Moroni resident with a connection to Norbest, who “felt it necessary to remain anonymous where criticism of Norbest is concerned,” expressed disappointment at Cook for pointing the finger at the DxE-investigated farm. Activists at DxE clearly were not convinced by Cook’s letter. “I say, ‘Allow us (DxE) to make unscheduled visits to the other Norbest growers, and then we could know for sure,’” Picklesimer said. The activists claim that in several visits to the Moroni farm, they gathered evidence of overcrowding, deformities and wounds, use of antibiotics, and other conditions and practices supposedly prohibited by Norbest. One of the DxE claims, supported by photos of a “Norbest Service Report,” was that some of the flock on the farm it investigated had hepatitis and other medical condition, and were being given antibiotics, a practice which Norbest supposedly prohibits. 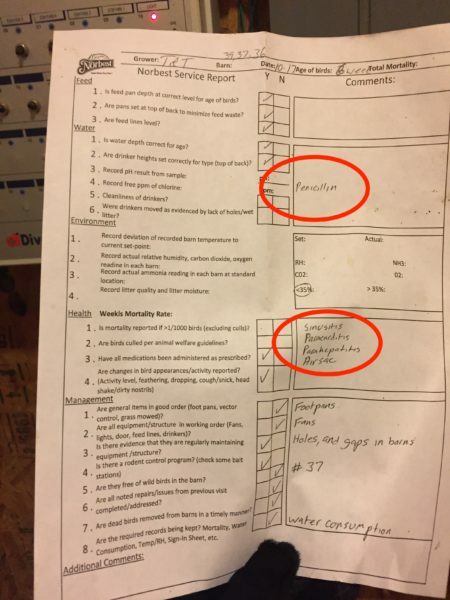 According to Picklesimer, DxE chose to highlight what they felt were inhumane practices at Norbest instead of other nationally known poultry producers for two reasons. First, Norbest, in its marketing materials, touts its free-range growing and ban on antibiotic use. Second, Picklesimer said, DxE is particularly interested in exposing factory farming in states where “ag-gag” laws make it illegal to enter farms for the purpose of documenting practices. Utah had an ag-gag law when DxE started its investigation. During the investigation, the law was struck down in federal court on first amendment grounds, and the Utah Attorney General’s Office announced it would not appeal the decision. DxE even removed several birds from the farm where it conducted its surreptitious investigation. One became a central figure in the DxE video. The group said it nursed the sick turkey, which it named Abby, back to health. 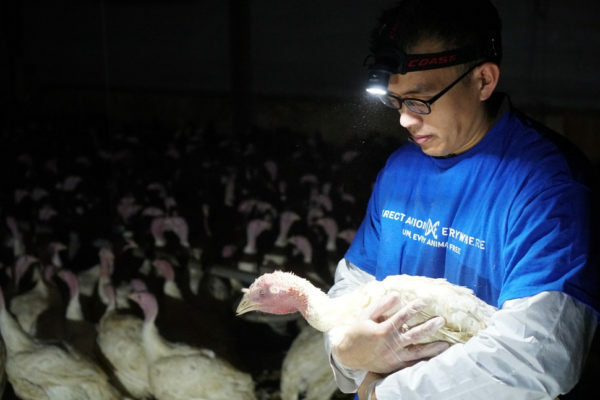 Aldridge said, as he understands it, by sneaking into the sheds, the activists could have introduced disease into the flocks they investigated, potentially causing death or disfigurement of many turkeys. Farms post signs saying it is harmful to the turkeys to enter sheds if you don’t follow proper decontamination protocols, particularly if you’ve been around other animals, Aldridge said. Picklesimer said DxE takes decontamination seriously. He said activists conducting investigations shower and wear new, plastic clothing before going near the animals. And he said the group’s video recording never resulted in a violent pileup of turkeys. Some people knowledgeable about the turkey industry are defending Norbest and its growers. “Over the past several years, I have provided training and health support to the production staff and growers at Norbest,” said Dr. Jim Trites a poultry verterinarian and consultant to Norbest. “I am very aware of the live production practices at Norbest. I have reviewed and recommended changes that were implemented in the Norbest animal welfare program. I have spent time on shadow audits of several of their farms and have engaged in production and animal-welfare dialog with many of the Norbest growers and with the Norbest certified auditor. “Why aren’t they in jail?” he asked, referring to DxE investigators who, he suggested, trespassed onto the target grower’s farm in violation of signage. Olson and Aldridge both say they think that while the grower’s birds have been confiscated, they expect the grower to be back in business once he makes improvements to his operation. Indeed, since the break-in, Olson said Norbest has advised growers in Sanpete to improve their operations and to make sure locks are installed on their buildings. In its investigation of Circle Four, DxE also “rescued” two animals, a pair of piglets. Later, the FBI raided Ching Farm Rescue in Riverton and Luvin Farms in Erie, Colorado to try to find and recover the piglets. Videos and more on the DxE Norbest and Smithfield investigations can be found at directactioneverywhere.com. This photo was taken during an unauthorized investigation into turkey-growing practices at a Moroni farm by the animal rights activist group Direct Action Everywhere. The group released a report and video just before Thanksgiving characterizing the conditions turkeys were under at the farm as “torture.” Photo courtesy Direct Action Everywhere.